The connected world is revolutionising the way critical assets are protected by national infrastructure organisations. But is true system integration really achievable? This in-depth white paper from Abloy UK considers the security challenges facing critical national infrastructure organisations and how they can best address them. When is a key more than just a key? Complete the short form to download the FREE white paper. 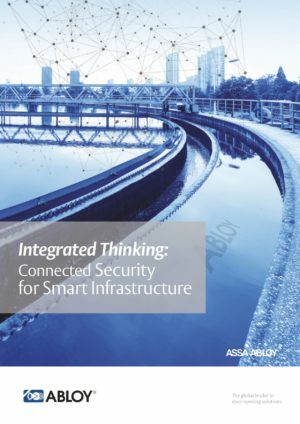 Integrated thinking: Connected security for smart infrastructure This in-depth white paper from Abloy UK considers the security challenges facing critical national infrastructure organisations and how they can best address them.